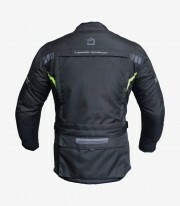 This Adventure 4 season winter jacket manufactured by Degend is made of black textile fabric. This model is designed for the most adventurous bikers, who take the bike and get lost in search of new horizons. It is a comfortable model, with large pockets, with different removable liners and prepared for long journeys. 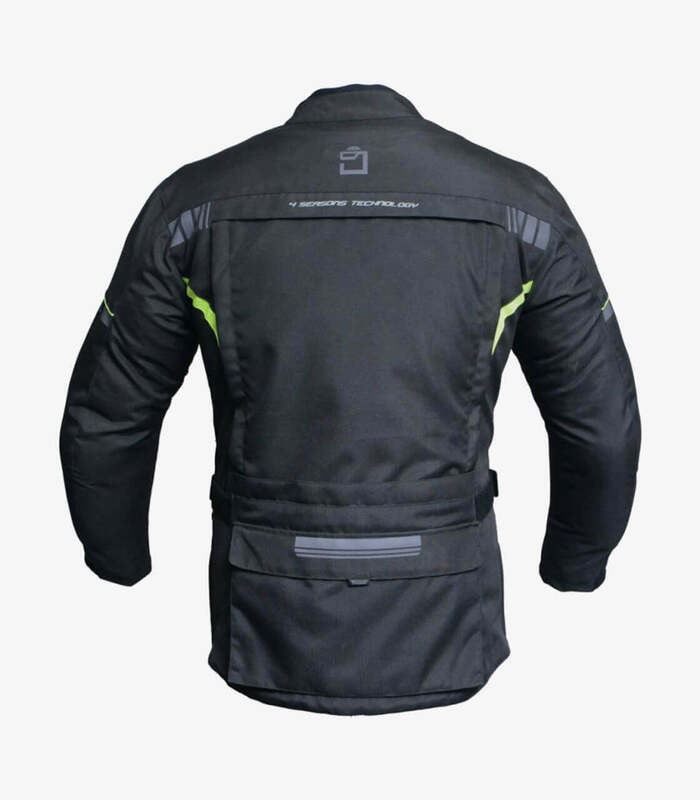 Degend offers with its jackets a high level of detail, taking care of the last of its seams to provide maximum comfort on a motorcycle. The Adventure 4s model is designed for men. 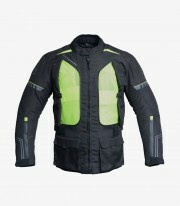 It is made of Nylon DM-HARD SHELL, which makes it light and soft to the touch. It has a DM-DRYTEX membrane that provides waterproofing and breathability to the jacket and also acts as a windbreaker. It also has another lining made of Prima Soft type vest for winter, which can be disassembled and used separately as a light jacket. 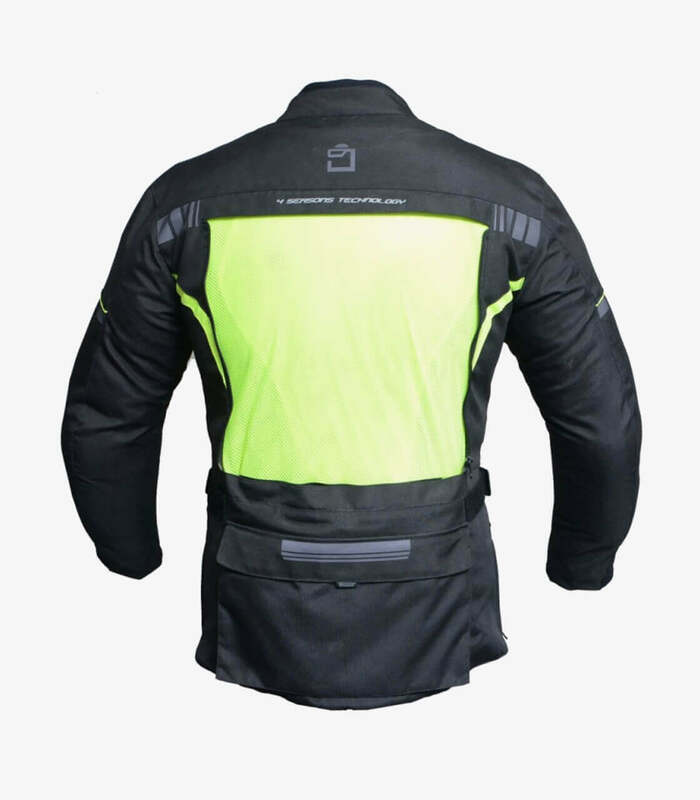 The removable protections on shoulders and elbows are certified with CE (European) level 2 certification. It contains a pocket on the back to put a back protector (not included). 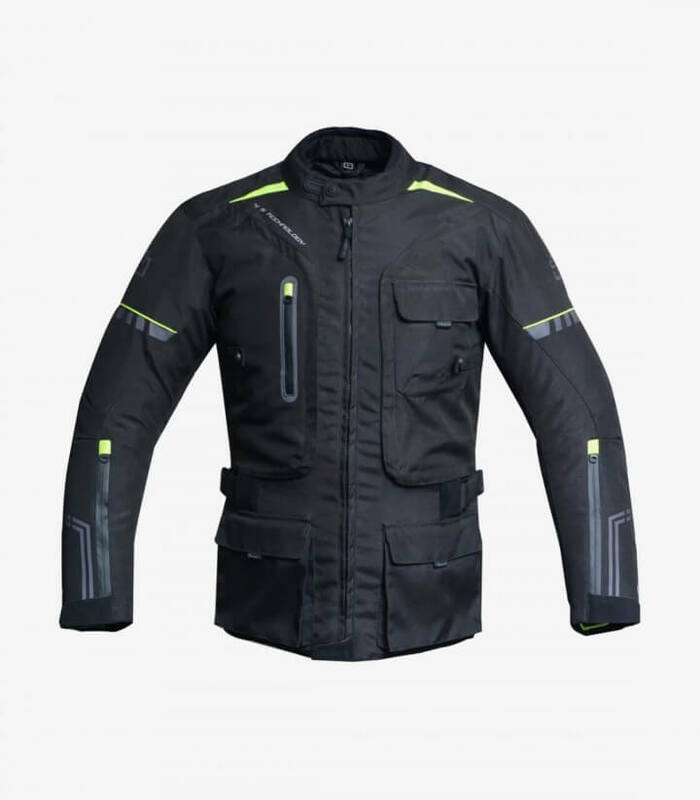 It has a ventilation system, unique for this model, on the front and back of the jacket. It consists of different completely removable parts, exposing the breathable fabric that will improve internal ventilation. It has several closures to get a perfect fit to the body. 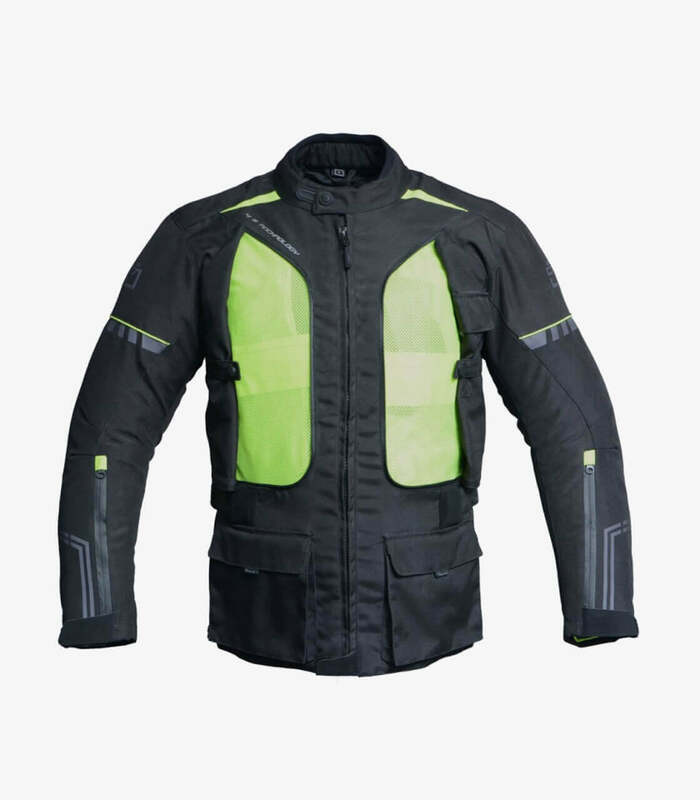 It has a zipper to join the jacket with motorcycle pants. 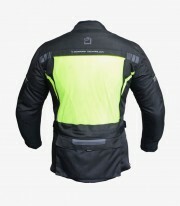 Reflective details on the back, front and sleeves of the jacket to add visibility to the pilot in low light conditions. The fabric seen when removing the ventilation parts from the back and front is also yellow fluorine.